I was racing to a meeting and realized that I had left my cell phone at the office. I desperately looked at my colleague fearing that I would be late. I ask her if she can check her cell phone to see what time it is. She peered at me and smiled. She calmly replied, “Aren’t you wearing a watch?” In fact, I was wearing my favorite white ceramic watch. It was one of those embarrassing moments, but it made me question- how did we get to this point? 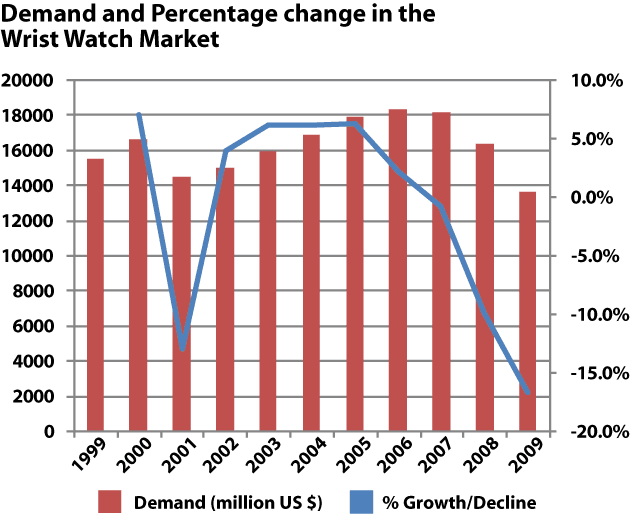 Now that so many people rely on their cell phones to tell them what time it is, global sales of watches have been consistently declining since 2005. Wristwatches are now just a fashionable, rather than functional, accessory. Since most people carry mobile devices with them at all times, the timekeeping abilities of watches are all but obsolete. There is real lasting impact to the culture shift we are currently undergoing. Technology continues to change how we approach work and life. It’s strange to think that our future generations may not have to learn how to tell time on an analog clock, but rather will be conditioned to look at a digital display as I am. Hopefully the next time I leave my cell phone behind, I will remember to look at my wrist! http://junction-creative.com/wp-content/uploads/2017/10/logo_header.png 0 0 junctioncreative http://junction-creative.com/wp-content/uploads/2017/10/logo_header.png junctioncreative2012-08-29 17:35:312012-08-29 17:35:31Got the Time?